Paris is a virtual shoppers’ paradise and travellers will find everything from the latest garments, to perfume to chocolate available in this wonderful city. 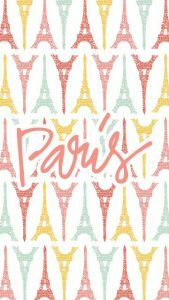 Paris boasts several boutiques, malls and stores and there are many shopping tours and guide books that are available to help visitors organize their shopping expeditions. If you are looking for haute couture shops, then the best boutiques to visit are located on Avenue Montaigne and Rue du Fauburg Saint-Honoré. For quality leather goods like shoes and handbags, visitors should try the shops on the Rue de Grenelle or the Rue du Cherche-Midi. The Rue Etienne Marcel and Place des Victoire are home to shops that display cutting edge and trend-setting fashions and garments. 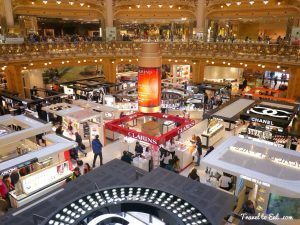 Paris also has a number of department stores like the Galeries Lafayette and Printemps which can be found on the Boulevard Haussmann. La Samaritaine is another excellent location to shop and is located between Les Halles and Pont Neuf and Le Bon Marché on the Left Bank. 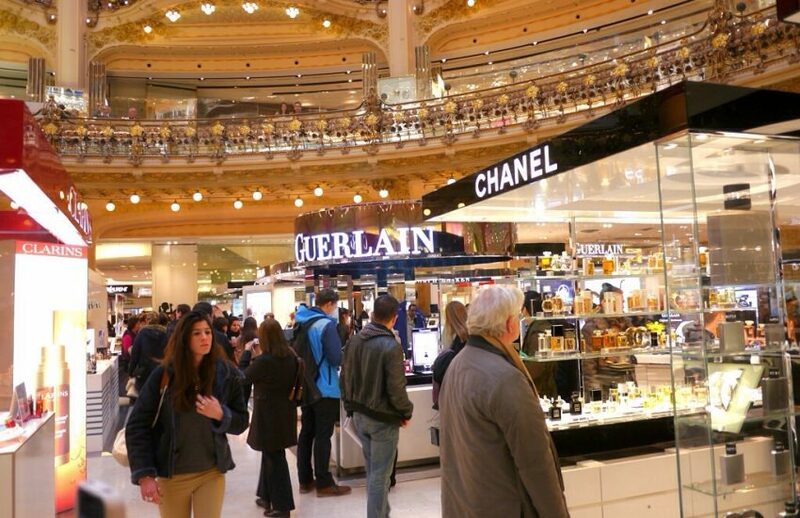 The Champs-Elysées in Paris is a great shopping spree in the making and boasts many shops like the Guerlain Parfumarie. The flea markets in Paris are probably the best place to locate some hidden treasures. There are three big flea markets in Paris located in the Porte de Clignancourt, Porte de Vanves and Porte de Montreuil. The markets usually open at 5am and run throughout the day. Another thing that Paris is famous for is the specialty food stores like the boulangeries and fromageries, where you can get excellent French bread, pastries, pâtés, chocolates and cheese. 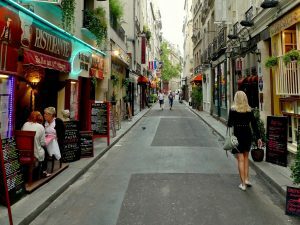 Paris is also filled with many open air markets that sell fresh produce, clothing, flowers, postcards, stamps and even pets.